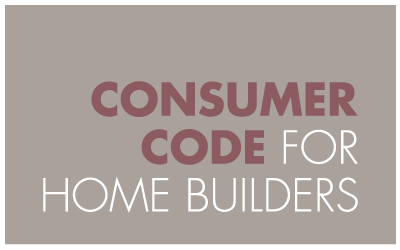 The ‘Consumer Code for Homebuilders’ is an industry led code of conduct for builders. It was developed to make the home buying process fairer and more transparent for purchasers. provided with a speedy, low-cost dispute resolution scheme to deal with complaints.